Ryan and ODonnnell are passionate about making high quality shoes that are fit for purpose. Irish dancing has evolved and the footwear must adapt with it and provide the protection and support required for such vigorous athletic moves. As Irish dance has become a sport dancers deserve the same protection as any other athlete. We have looked at running shoes and taken key elements and technology from them and designed our dance shoes to reflect these advancements. Our Evolution hard shoes are handcrafted in the UK using the finest of leathers offering supreme comfort and a glove like fit whilst giving support and durability. Our shoes feature out the box flexibility with black suede sole unit. Everything about our shoes is designed for a reason. From Noene shock dispersion sole unit to help prevent and cure injury's such as shin splints and tendentious to removing as many of the seams from inside the shoe which helps eliminate friction that causes blisters, including a padded heel cushioning top line which sits higher on the heel to ensures the correct support is given around the ankle, keeping the foot in the shoe. 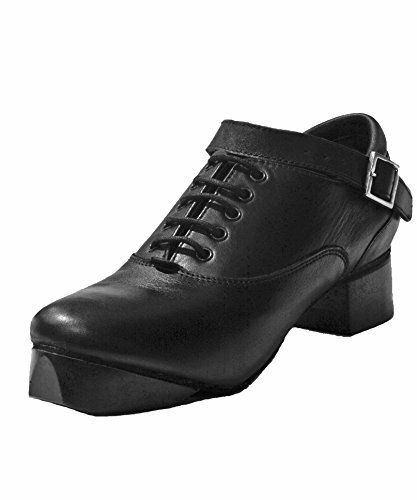 We also make our uppers with 5 eyelets similar to a running shoe giving further support round the ankle. Our heels and tips are semi hollow and therefore the lightest in the market. There are small chambers inside the heel which allows for the sound to be amplified which is what gives our heel and tips a sharper sound. The tips and heels on the Evolution shoes give dancers better posture as they are symmetrical, and made from advanced mould technology and not individually hand grinded down. Guaranteed the highest security with new interlocking heel attachment. If you have any questions about this product by RYAN AND ODONNELL, contact us by completing and submitting the form below. If you are looking for a specif part number, please include it with your message.